My son brought to my attention a more than century-old “paean to perseverance” written by publisher Elbert Hubbard. 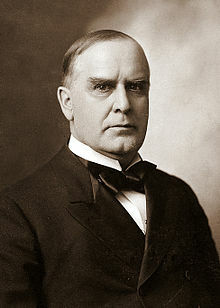 His story “A Message to Garcia” depicts the dilemma of President William McKinley, our 25th President in 1899 during America’s war with Spain. The President needed to deliver an urgent message to General Calixto Garcia, the leader of the insurgents, in order to secure his cooperation. But Garcia was lost somewhere deep inside the mountain vastness of Cuba. The message was about the need, sometimes, to just “jump,” rather than ask “how high” when we’re required to take immediate and effective action. What do you think about this from the standpoint of school transportation? When are you asked to act rather than analyze? How do you hire staff members who are like Colonel Rowan? Would you want an operation with only Colonel Rowan’s? I’m especially interested because I’m so aware of the difficulty I have in finding a balance between analysis to paralysis and impulsivity. I read “A Message to Garcia” several weeks ago, and have thought about it often since then. Posted on October 25, 2012, in Core Values. Bookmark the permalink. 3 Comments. I think that at some level the answer to whether or not an entire organization of Rowans is appropriate depends in large measure on the leaders success in communicating the mission of their enterprise to those below. Sometimes those at the top forget that people are anxious follow a worthy cause, and that they are anxious to throw themselves behind someone who can communicate that cause in a clear unambiguous manner. Therefore we must be careful to speak a message leaves no doubt about the goal we are pursuing, but it must also be supported by our behavior when our mouths are shut. I think that when we are effective at conveying our mission, people under our authority will be empowered to make it happen. I agree Trent. I’d add that I think the mission (or vision) needs to be a compelling one. Not only must it be communicated effectively but it must tap into people’s core values. Many will fight tirelessly to achieve a mission they believe in. I think it is somewhat like a bicycle team I recently read about. Every member of the team had strengths. It takes those to act and those to say “Let’s think about that.” The direction and mission must be clearly states but still having a large number of Rowans could become unweilding. I am reminded of a bicycle team I read about recently. The statement that stuck was “Winning on the flats in one thing-winning in the mountains is another.” Bob Whitman said it in Predictable Results for Unpredictable Times. There is something to be said for balance in the team.